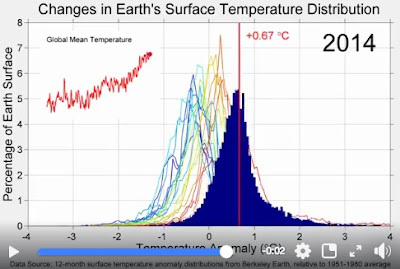 Tectonics in the Tropics ~ Ice Age Triggers! 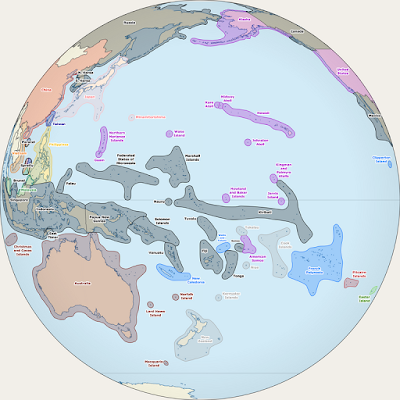 "Over the last 540 million years, the Earth has weathered three major ice ages [each] preceded by tropical “arc-continent collisions” -- tectonic pileups that occurred near the Earth’s equator -- in which oceanic plates rode up over continental plates, exposing tens of thousands of kilometers of oceanic rock to a tropical environment. [The] heat and humidity of the tropics likely triggered a chemical reaction between […] the rocks’ calcium and magnesium […] pulling the [CO2] out of the atmosphere and permanently sequestering it in the form of carbonates such as limestone [cooling] temperatures globally and ultimately [setting] off an ice age." 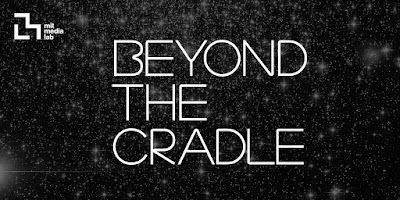 Beyond the Cradle ~ Media Lab x Outer Space! Excellent to see the third year of Beyond the Cradle organized by the Space Exploration Initiative at MIT Media Lab today! Great talk by Nobel physicist Prof Sam Ting this morning plus SF panel featuring Daniel Suarez (of Daemon, FreedomTM, and Influx fame, with Delta-v coming soon!) among others! See live video! 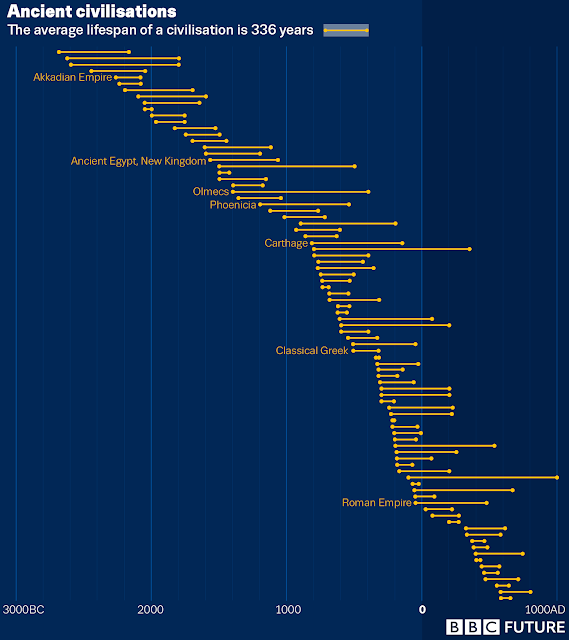 Luke Kemp at the BBC asks Are we on the road to civilisation collapse? "If the fate of previous civilisations can be a roadmap to our future, what does it say? One method is to examine the trends that preceded historic collapses and see how they are unfolding today. [...] The collapse of our civilisation is not inevitable. History suggests it is likely, but we have the unique advantage of being able to learn from the wreckages of societies past. [...] We will only march into collapse if we advance blindly. We are only doomed if we are unwilling to listen to the past." "Collapse is a tipping point phenomena, when compounding stressors overrun societal coping capacity. 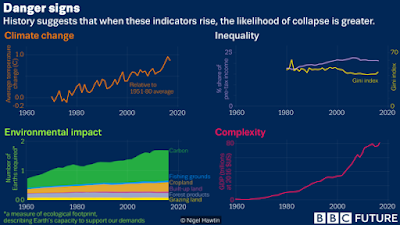 We can examine these indicators of danger to see if our chance of collapse is falling or rising. 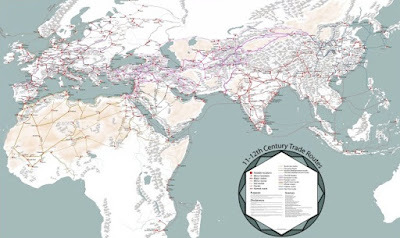 Here are four of those possible metrics, measured over the past few decades:"
Medieval Trade Routes zoomable map! 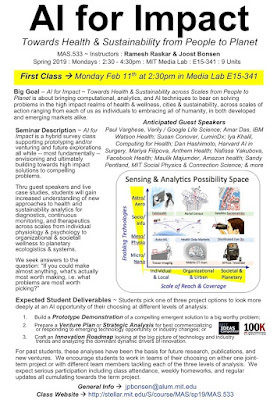 Together with colleague Ramesh Raskar, I'm co-teaching the AI for Impact seminar this Spring 2019 every Mon afternoon starting Feb 11th from 2:30-4:30a in E15-341, the heart of the MIT Media Lab! Our goal is to bring computational, analytics, and AI techniques to bear on solving problems in the high impact realms of health & wellness, cities & sustainability, across scales of action from each of us as individuals to embracing all of humanity, in both developed and emerging markets alike, all broadly understood. We want to help students identify top AI opportunities for impact and help make progress towards building prototypes, planning action ventures, and/or better understanding the emerging technology and impact trendscape. Formerly known as "Imaging Ventures" or “AI Ventures”, this “AI for Impact” class seeks answers to the question: If you could make almost anything, what's actually most worth making, i.e. what problems are most worth picking? We believe starting with the right problem is 90% of what makes for great projects and ultimately epic, worthy solutions. 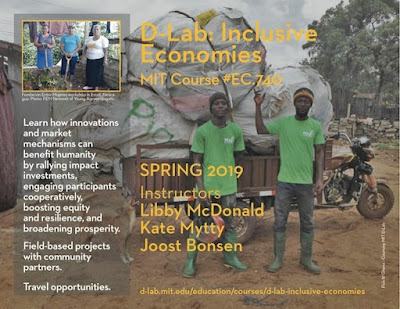 Together with colleagues Kate Mytty and Libby McDonald, I'm co-teaching the Inclusive Economies seminar this Spring 2019 every Wed morning starting Feb 6th from 9:30-11:30a in N51-350, the D-Lab classroom area! We explore how innovations and market mechanisms can benefit humanity by rallying impact investments, engaging participants cooperatively, boosting equity and resilience, and broadening prosperity. We look at market mechanisms for maximizing participation, choice, and growth; impact investing approaches which are socially responsible and include metrics that matter; cooperative and mutual ownership structures for shared gains; equitable citizen participation in basic and natural resource wealth; and the role of new technologies and methods towards boosting affordability, accessibility, and overall inclusive prosperity. 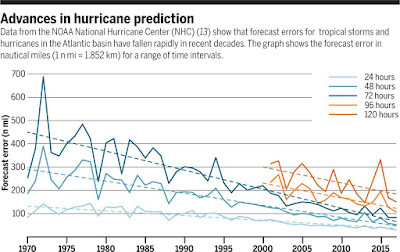 "In recent decades, advances in forecasting have been rapid, arising from improved observations and models, and better integration of these through data assimilation and related techniques. Investment in weather forecasting pays large dividends, ranging from 3 to 10 times the costs. 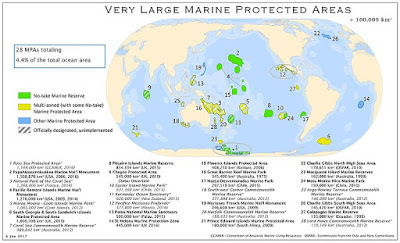 [But] the developing world is especially vulnerable to weather disasters yet is underserved by forecasting." "Americans’ dissatisfaction with the democratic system is part of a much larger global pattern. 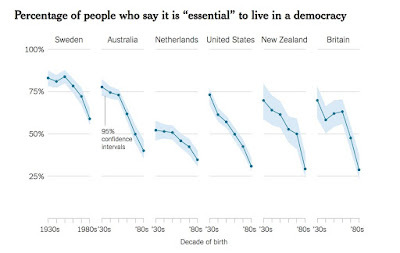 It is not just that the proportion of Americans who state that it is “essential” to live in a democracy, which stands at 72 percent among those born before World War II, has fallen to 30 percent among millennials. It is also that [...] a similar cohort pattern is found across all longstanding democracies, including Great Britain, the Netherlands, Sweden, Australia, and New Zealand. In virtually all cases, the generation gap is striking, with the proportion of younger citizens who believe it is essential to live in a democracy falling to a minority." "What is more, this disaffection with the democratic form of government is accompanied by a wider skepticism toward liberal institutions. Citizens are growing more disaffected with established political parties, representative institutions, and minority rights. Tellingly, they are also increasingly open to authoritarian interpretations of democracy. 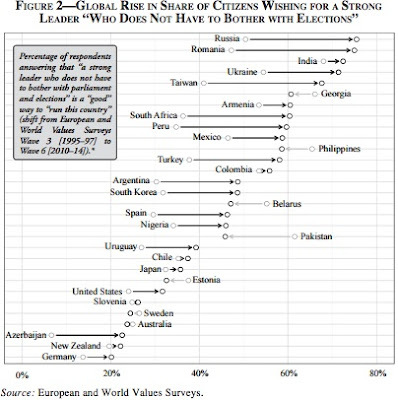 The share of citizens who approve of “having a strong leader who does not have to bother with parliament or elections,” for example, has gone up markedly in most of the countries where the World Values Survey asked the question -- including such varied places as Germany, the United States, Spain, Turkey, and Russia"
LA Timelapse Map ~ Infra, Nets, Pop, Econ, etc! 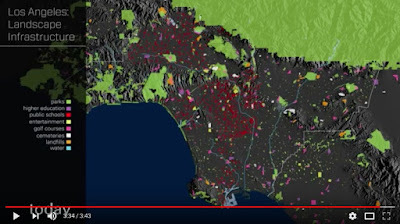 The Getty Research Institute shares timelapse maps of Los Angeles Instrastructure, Networks, Settlements, Population, Economy, and Conflicts! "The HDI is like a country’s report card. 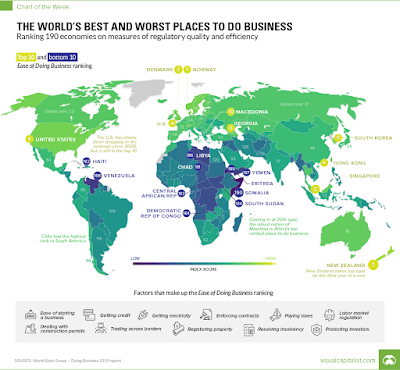 In a single number, it tells policymakers and citizens how well a country is doing. The HDI has been wildly successful in changing the way people think about the development process. However, it still suffers from real flaws. First, it implicitly assumes trade-offs between its components. The HDI also struggles with the accuracy and meaningfulness of the underlying data. Finally, data on different domains may be highly correlated. The HLI looks at life expectancy at birth, but also takes the inequality in longevity into account. If two countries had the same life expectancy, the country with the higher rate of infant and child deaths would have a lower HLI." Nice timelapse animation of Manhattan's Densities changing over two centuries based on data collected by Shlomo Angel and Patrick Lamson-Hall of the NYU Stern Urbanization Project! “experimental forestry” and one of the experiments was to try and measure the effect of tree spacing on growth. 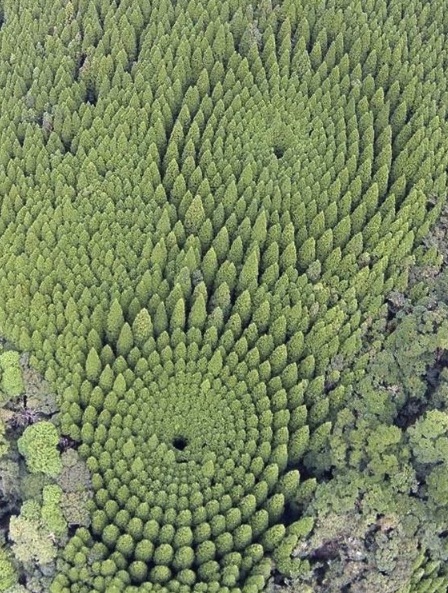 The experiment was carried out by planting sugi (Japanese cedar) trees in 10 degree radial increments forming 10 concentric circles of varying diameters."